My Wooden Toys is an Australian family owned online toy shop. We specialise in affordable, traditional, educational wooden toys for children. Established in 2006, we have delivered toys to thousands of boys and girls all over Australia and we look forward to sending many many more. Our Toys have been carefully chosen to encourage kids to explore, experiment, use their imagination, to learn and most importantly play. Enjoy your visit to My Wooden Toys. We are sure you will find what you are looking for. Save $7.23AUD Limited Time Only! Standard Postage is $9.95 AUD per order Australia wide. Send a Present! We can deliver to the address of your choice anywhere in Australia. Outside Australia? Send to relatives living in Australia and save on postage! 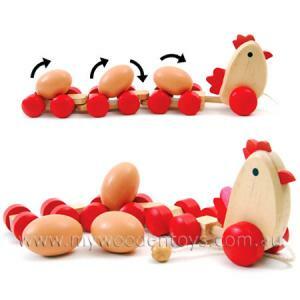 My Wooden Toys ia a great, easy, affordable way to send beautiful presents today.